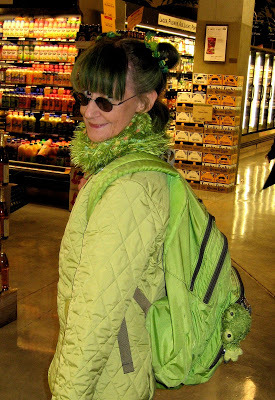 I’ve taken many pictures of folks who are so loyal to their favorite colors that they dress head to toe in these special hues. 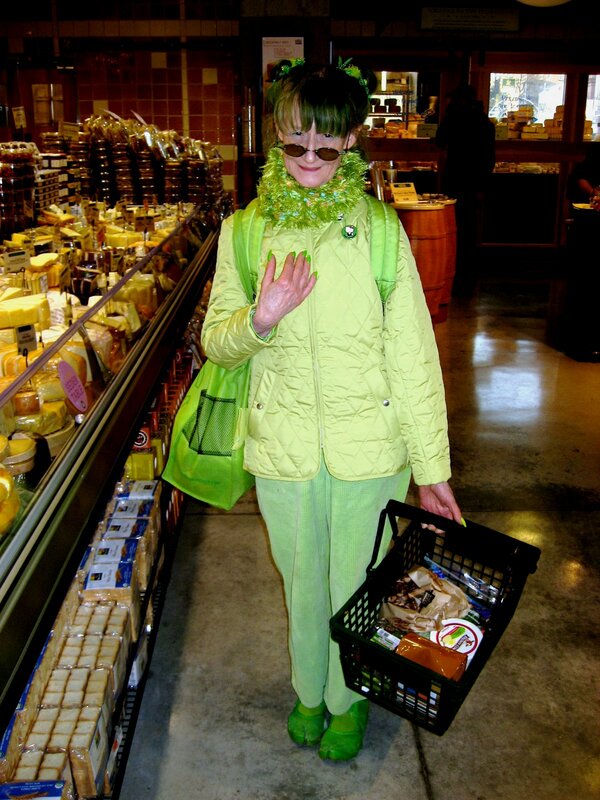 This lady brightened my day when I saw her shopping in Whole Foods. 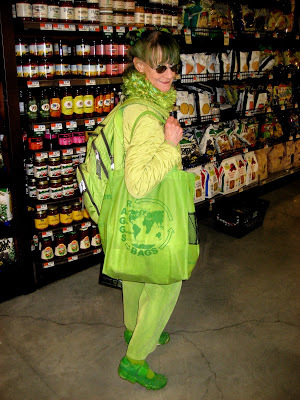 She not only wears green, but apparently lives green as well, by bringing her own reusable shopping bag to the store!